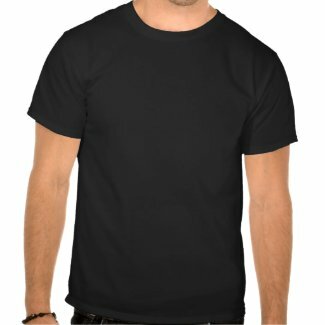 I rabbit-trailed into tweaking the one shirt design of mine on Zazzle that consistently sells a few shirts each year. That and my WWTD (What Would Tartuffe Do?) mug, a personal favorite ironic joke of mine. Anyway, the 2007 NCS production of Hamlet was a high point in my experience working with high school theater, and I love to see the cast shirts walking around on the bodies of NCS graduates. 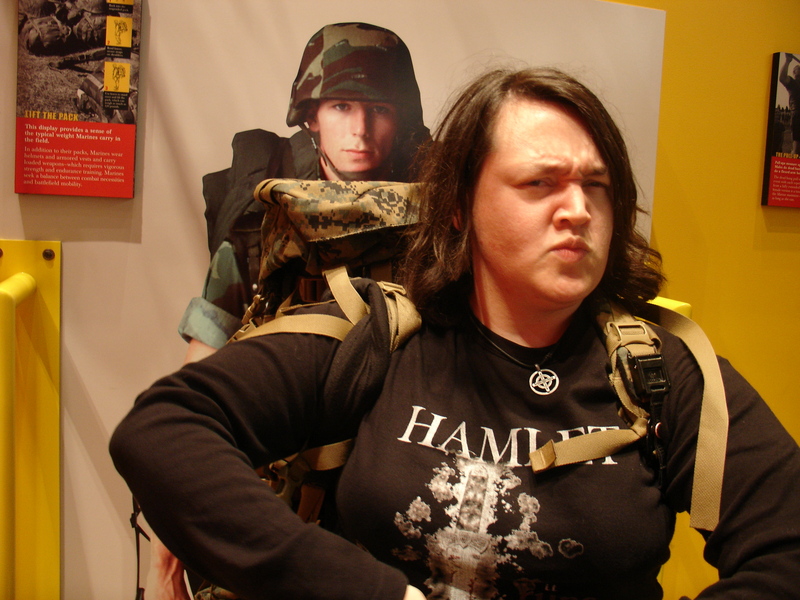 Trying out a soldiers pack at the Marine museum near Quantico, VA. 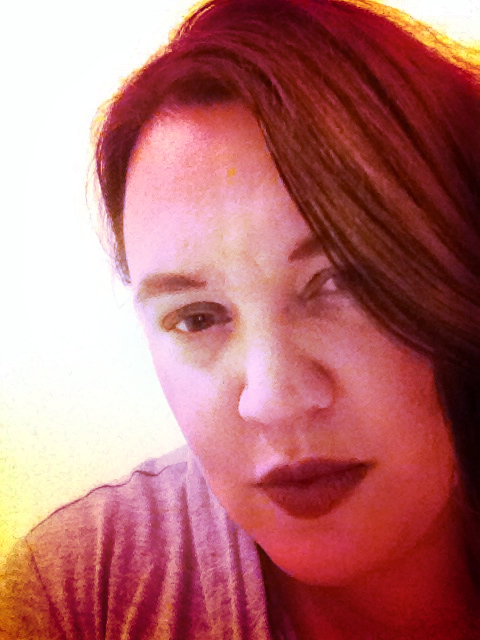 Looking fierce. And Hamlet. It’s an old design, and ham-handed. I can’t say that I’m proud of this design, per se, but it was one of my earliest (and in collaboration with a fellow artist), and represents one of my early steps in developing an understanding of the digital tools. So. If you have a hankering to remember Hamlet at NCS, try this. And I suggest adding a great Hamlet quote to the back — mine reads “There is a divinity that shapes man’s ends, rough-hew them how we will,” a line from Act V.
Previous PostOn Ferguson.Next PostHamster Wheels.